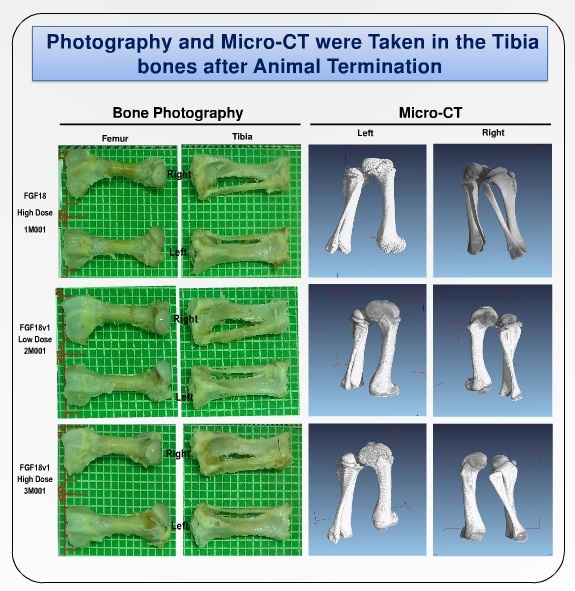 “Animals are used to understand basic biology, as “models” for studying human biology and disease and as test subjects for the development and testing of drugs, vaccines and other biologicals (i.e. antibodies, hormones, ingredients in vaccines, etc.) to improve and advance human health. As models, scientists aim to produce artificially, a condition in an animal in a laboratory that may resemble the human equivalent of a medical disease or injury. For practically every known human disease, researchers attempt to induce similar aspects of the disease in animals to create an animal “model” of that disease. 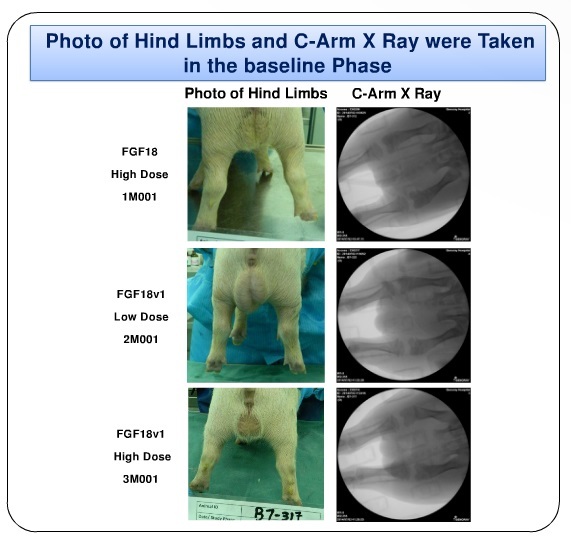 Supposedly predictive, animals “are used with the aim of discovering and quantifying the impact of a treatment, whether this is to cure a disease or to assess the toxicity of a chemical compound.” This is how animals are used in the context of drug testing and studying human disease. Prof. Yayon, from ProCore Bio Med Ltd., Israel, has been studying achondroplasia and FGFR3 for more than 20 years now. He is a pioneer and a leading scientist in the fields of polypeptide growth factors, the extracellular matrix and the mechanisms underlying human skeletal disorders. In 1999, Prof. Yayon along with other researchers from Israel, created a mouse model for achondroplasia, a line of laboratory mice with the achondroplasia (ACH) mutation, which enabled many preclinical research projects in achondroplasia. 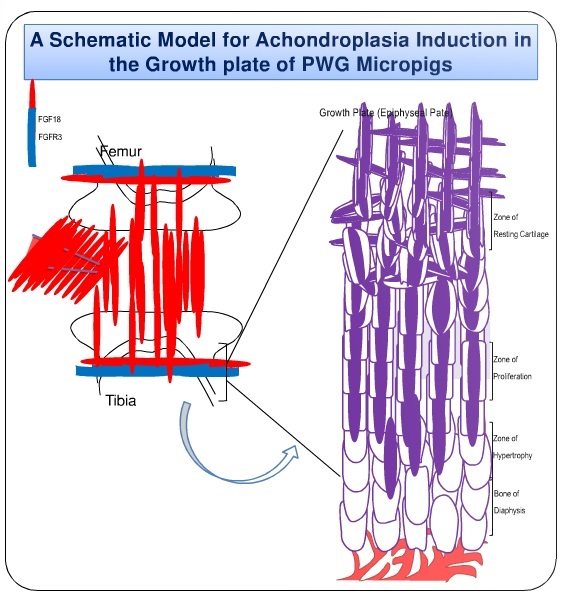 In 2014, funded by the Singapore-Israel Industrial R&D Foundation (SIIRD), ProCore and Prestige Bio Research, PBR, were able to develop the first mammalian achondroplasia micropig model, in a joint project. 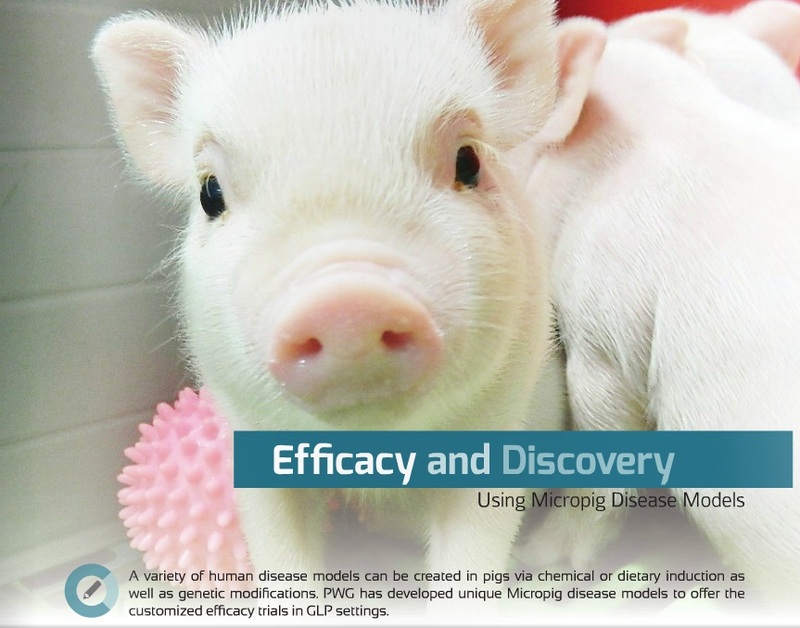 The goal of creating this animal model for research was to help in the development of specific and safe therapeutics for ACH. The proposed model is expected to closely mimic ACH in humans and most probably can be a requirement in the development of a cure for ACH. This joint work was presented in a poster, that is presented here in subsequent parts. 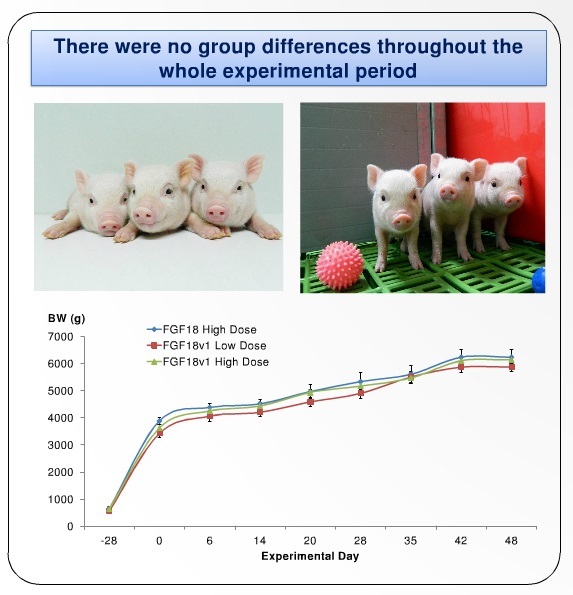 FGF18 is Fibrobast growth factor 18, a ligand that frequently activates FGFR3. 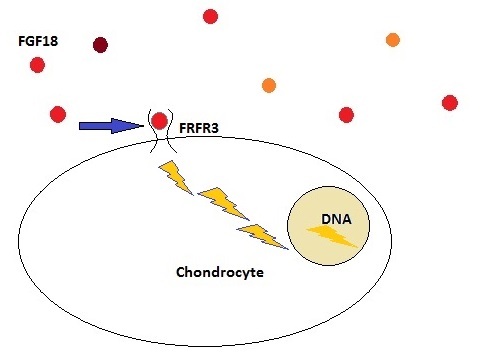 Below, a very simple schematic representation of the action of the FGFs in the receptor (FGFR3) is presented. 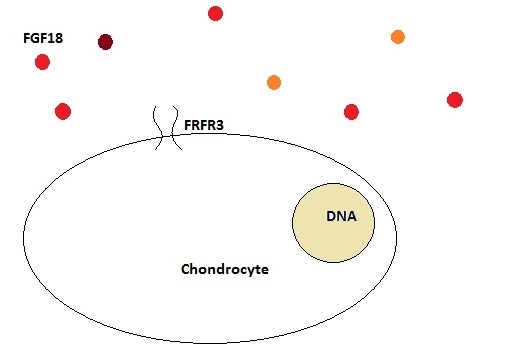 When one FGF is caught in the arms of the FGFR3, a chain reaction of signals starts inside the cell (a signal cascade), reaching the nucleus, where the DNA is, and causing gene expression to change. 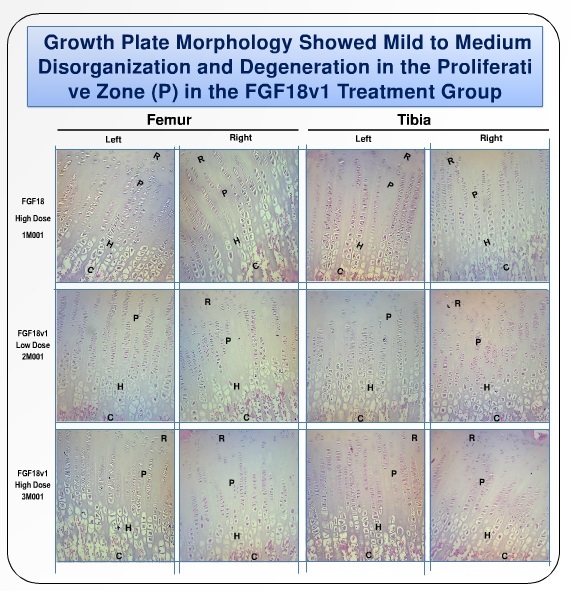 Signaling by fibroblast growth factor (FGF) 18 and FGF receptor 3 (FGFR3) have been shown to regulate proliferation, differentiation and matrix production of articular and growth plate chondrocytes in vivo and in vitro. 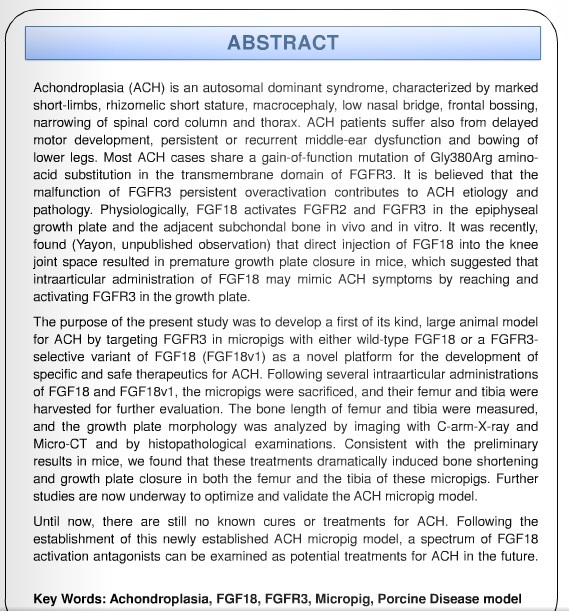 Direct injection of FGF18 into the knee joint space resulted in premature growth plate closure in mice, which suggested that intra articular administration of FGF18 may mimic ACH symptoms by reaching and activating FGFR3 in the growth plate. 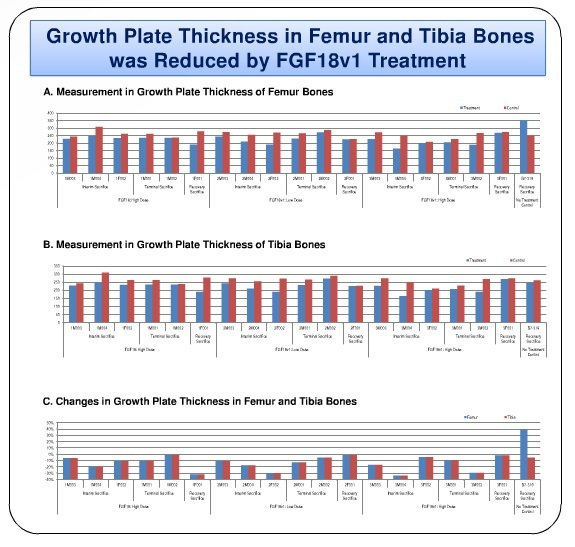 So increasing FGF18 by local injection in the knee, hyperactivated FGFR (which naturally reduces growth), inducing growth arrest. 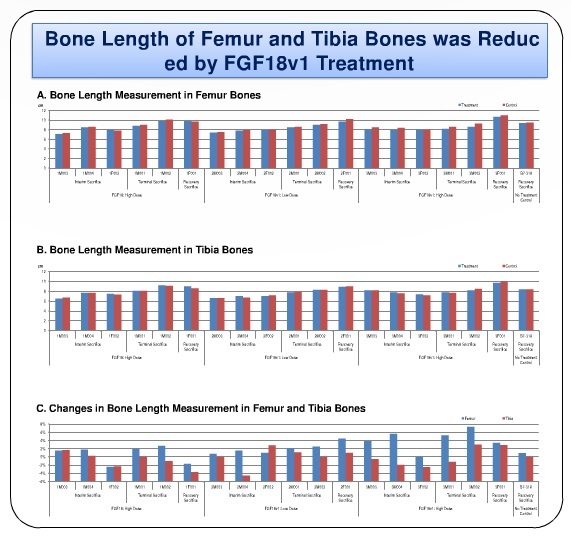 The main conclusion is that the injections of FGF18 and FGF18v (FGF18 conjugated with hyaluronic acid) induced bone shortening. And for that, a future treatment for achondroplasia could be aimed for the FGF18. In an average height person, the growth plate is well organized, in vertical, straight lines. In achondroplasia, there is a degree of cellular disarrangement. Lastly, it is important to say that experiments in animals are still the way biologic research is done in human diseases. But this does not mean it is the best way to do it. Mice, dogs and pigs are genetically different from humans which can result in inadequate information. According to Dr. Richard Klausner, former Director of the National Cancer Institute, “We have cured cancer in mice for decades—and it simply didn’t work in humans“. This conclusion is not randomly said. 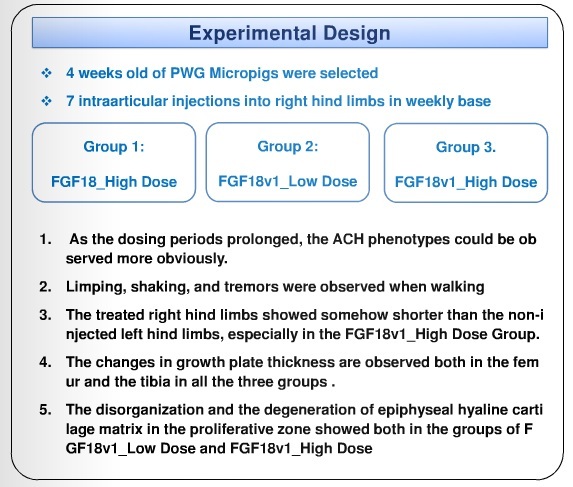 One question is now open: how are the researchers thinking about delivering the “yet unstudied” FGF18 antagonists into the growth plate, to develop a treatment for achondroplasia? In this work, is possible to deduce a treatment that may need 4 injections: one in each knee and each arm, in each session. It is crucial to evaluate the practicability and the invasive degree of each new potential treatment for ACH.